With that said, we hope that you’ve been enjoying our Bearded Q&A as much as we have, and that we’ve been a workable replacement thus far, for our good friend John, as he takes some time off to spend with his lovely wife and daughter. We’re moving John’s blog to a new provider, which will give us more flexibility and control over the blog, to help make it even more awesome than it is today. Late last week, I put on my slightly-larger geek glasses and set up a new server for John’s blog, and spent a lot of this week doing the technical things to get it ready for the transition. Alright Eric, back to you, buddy! 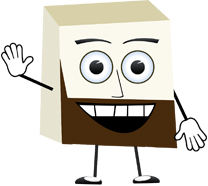 Alright, let’s get to tonight’s Bearded Q&A, shall we?!? Would it be possible to help make sure my Wife and I don’t end up sitting in a booth in the dining room. We are happy with any size table in any location as long as it isn’t a booth which for the last couple cruises is where we ended up. If you can help we would greatly appreciate it and if not so be it because it will in no way ruin a cruise. I’m going to do my very best to see if the maitre d can try and honour (spelt correctly) your booth request. I hope you and your wife have a brilliant cruise and all of us here would love to hear about it when you get home. Sorry if this isn’t where to email requests but my son and I are sailing on the Freedom n March 6. We have not had the honor of sailing with you yet as CD but have sailed with one of your favorite Stephanie’s. We will be celebrating my son’s 15th birthday onboard. He loves cruising. Given the choice of any vacation – he would pick a cruise. He would rather be on a cruise than anywhere else. I was hoping maybe you could arrange a special birthday surprise for him. I would be happy to provide booking # or more info. I do appreciate in advance anything you can do to surprise him because he’s my joy. Your son sounds like a very smart kid — and I’m about to say one of those things I hoped to never hear out of myself — and reminds me a lot of myself at that age. 🙂 I’m a huge basketball fan, and my first cruise also happened when I was 15. Since then, it’s always been my favorite way to spend a vacation, but now, I’m lucky enough that it’s also become my life! I hope you and your son have a wonderful time on the Carnival Freedom, and I will definitely see what I can do to try and make his birthday a little extra-special this year. Thanks for pointing this out to us, and I think I understand what the problem is… WordPress gives you a slick, stylized, smaller version of the blog when you visit using a web browser on most newer mobile phones. Unfortunately, some of the features are missing, look different, or are in different places… including the tabs that we’ve added to the top of the blog. •	If you tap the tiny arrow in the upper-right corner of the blog, a drop-down menu will appear that includes the link to the page. •	Or, you can use this link to go there directly. •	Or, perhaps the easiest option of all, is visiting John’s blog from your computer. The third is what I would probably do. While I love my phone (it’s not an eyePhone, by the way!) there are a lot of things that are just more pleasant to do on a computer. Hope to see your name on the Bloggers Cruise page soon! My wife and I will be taking our 9th cruise on the Carnival Ecstacy, on the January 13th sailing. We will be celebrating our 18th anniversary. When we got married, we were married by the local Justice of the Peace because were were in love but unfortunately did not have the money for a big wedding. Since then, God has been gracious with us and we are doing well considering the state of the economy. We are both really looking forward to this cruise (without the kids). We sail again in March (with the kids) on the Triumph. My wife loves the window seats as we dine, so if it’s not too much trouble, could your possibly request a table by the window for us for our cruise on the Ecstacy? We don’t mind sitting with other folks, as we are a couple of the “friendly”, although somewhat lower class Texans that some have complained about. Love what you do! I start my day with coffee an “John Heald’s Blog”. Thanks again, and God bless. As fun as family vacations are, I can see why you’d want to celebrate this special occasion alone with your wife and I know John will be very happy to hear that you decided to do it onboard our beautiful Carnival Ecstasy. I will most certainly do my bearded best to see if the Maitre D can accommodate your dining request and I truly hope you and your wife have an amazing time celebrating 18 years of marriage. My fiance and I are going on the Carnival Triumph on January 15. This is my 8th cruise, 6th with Carnival, and his 2nd. This is our 3rd anniversay of being together. I read your blog everyday and am always reading pieces of it to him. If there is any way you could do anything cool for us for our anniversary that would be awesome. By the way, I love the FB posts, I have been in back therapy for about 3 months now trying to avoid surgery and I read your blogs on my phone while in therapy. It really helps to take my mind off the fact that my back is being stretched 2 inches for 24 minutes a day, every other day. I have started to get better and am really looking forward to this week long getaway. Thanks for anything you can do. Oh, our room number is 1244 on the Triumph Jan. 15th. Thanks again for your wonderful humor everyday. First off I want to thank you for your loyalty to Carnival and I’m happy to hear that you and your fiancé will be back onboard the Carnival Triumph this January. I actually recently went on that ship for the first time and had a blast, so I have no doubt you two will thoroughly enjoy yourselves. I’m so sorry to hear about your back — I can’t imagine what that’s like — but I’m sure John will be touched when he hears that his posts have been therapeutic to you, and I know both of us wish you nothing but the best and a speedy recovery. We have 2 cabins booked and linked together for our 02/05/11 sailing on Liberty. Is it possible that you can get us a table by the window for us for the 6PM dinner seating? I read your blog all the time and thoroughly enjoy it. I had friends on Splendor and they said you did a great job at keeping the crisis under control. You’ve helped us int he past with requests and we really appreciate it. Thank you, John. I really appreciate it. Thank you for your kind words, and I will definitely reach out to the Maitre D to see what he can do to accommodate your request. Hope you have a wonderful time onboard the Carnival Liberty. Please Respond. My wife and i would like to thank you for your help in getting a table for two on our recent Miracle cruise ( Nov 11th ) We will be on the Freedom leaving Jan 23rd and once again would appreciate any help you may provide in getting a table for two again. Our room number is 1254 . Thanks in advance. I am reaching out to the Maitre D as we speak, to see if he can try and accommodate your request. Hope you have a great time on the Carnival Freedom! I hate to ask but I think it might be better for other guests on the Conquest Dec 26-Jan 2. There are 6 of us traveling, cabins 7364, 7362, 7358. One of us is 21 months old and needs a high chair, we would like one of the window tables around the edge of Monet. We have confirmed early seating. It would keep the baby away from other travelers and hopefully not interrupt dinner and peace. He is my first grandbaby and of course, I think he is perfect but I don’t want to upset other travelers. This would be so appreciated. Thank you for anything you can do!! I was booked for a June 2011 cruise on the Carnival Legend that visited Half Moon Cay, Nassau and Key West. The itinerary has since been canceled (as well as all itineraries that include Key West on the Legend) and I was just curious as to why? Is it because of the Dengue Fever outbreak in Key West or another reason? 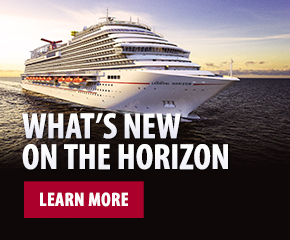 With the help of CCL I have since re-booked an itinerary on the Carnival Liberty and I am greatly looking forward to it. This cruise will be for my and my brother’s birthdays! First time he has sailed with myself and my mother together, but not his first time sailing with Carnival. I’m not quite sure why that itinerary was canceled, but you can be sure that there was a good reason and that our guests’ best interests are always top-of-mind. I’m very happy to hear that you were able to re-book and can now celebrate two very special birthdays on board the Carnival Liberty. I like your comments. I already sent you a note last week, of how wonderful job you and your crew is doing. I am wondering if you would please arrange to have a better seating by the Ocean view, as well as to get a good view of the crew’s dancing event. This year on C/Victory, we were given the lower side, and it was quite far from the action. I really love to see them dance during dinner. I would really appreciate if this can be done. I am not sure that it can be done or not, but if you may, I would really appreciate. Thank you so much for your kind words. The crew’s dancing event is one of my favorite parts of the Carnival Cruise experience, so I can see why you would be concerned about not getting a good view this time. While nothing can be guaranteed, I will certainly do my best to see if the maitre d can accommodate your request for your August sailing. Hope you have a great time on the Carnival Freedom!